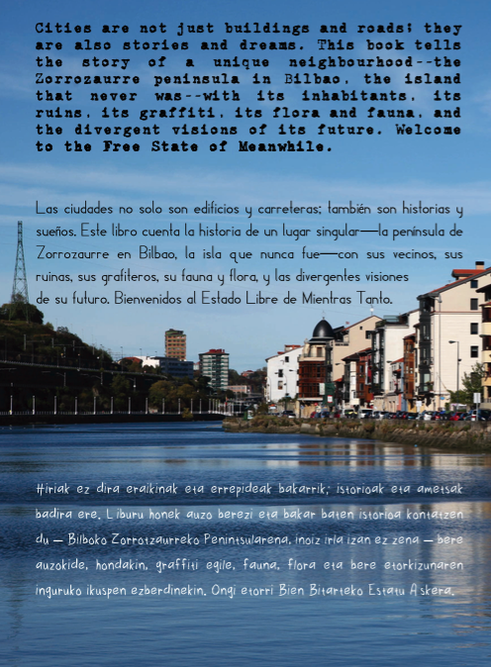 Book Review: The Island that Never Was: an English castaway in Bilbao by Robert Alcock. The spirit behind Transition, that invitation for a community to come together to reimagine and rebuild itself, takes many forms, not all of them choose to use the label Transition, and some, like the story told in this book, emerged before Transition but very much sees itself as being a Transition initiative in spirit. 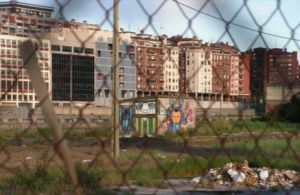 Earth builder, ecological designer, author, educator and occasional Transition Culture contributor Robert Alcock has just published a book that gives a powerful taste of one manifestation of that spirit, set in the city of Bilbao, Spain. The neighbourhood was situated along the river, and had once been a vibrant dockland area. Now it still contained a few businesses, but also “the remnants of an industrial past that had never been tidied up”. Once it had been home to market gardens which made the most of the alluvial silt, but in the 1950s Franco decreed that Spain needed a huge expansion of industry, and the site became an Enterprise Zone. Factories arrived, canals were dug, and the area became known as Zorrozaurre. However, 30 years later, the economy collapsed, attention turned elsewhere, but 400 residents remained. By the year 2000, Bilbao was buzzing again, this time as a centre for design and fashion and culture, and developers started eyeing Zorrozaurre with interest. It was into this somewhat down-at-heel setting that Robert and his partner arrived and set up home, initially getting involved in the creation of a ‘micro-garden’ on the waterside, which which gave people a sense of shared ownership of a common space for the first time. As he puts it, “at least now we had something to squabble about”. The place also had its own social world, of parades, festivals, and a lively local graffiti art scene into which Robert immersed himself. But at this point, the developers started to move in, appointing a superstar architect to “wave her magic wand and conjure up a sparkling Master Plan for the peninsula”. The rest of the book tells the story of how the community, in all its cantankerous, diverse, argumentative yet also really rather wonderful glory, responded to this. I won’t tell you any more as it’s a story you need to read and enjoy yourself. It’s a fascinating and heartening tale of the power we have but spend so much time convincing ourselves actually lies elsewhere, and asks the question “what if ‘meanwhile’ became a permanent condition?”. It’s a quick read, beautifully illustrated, and can be order directly from Robert’s own website here.